Last year’s K-music gig in the Albert Hall’s Elgar Room was a great success. This year’s blend of jazz and Korean traditional folk music looks to be equally as promising. 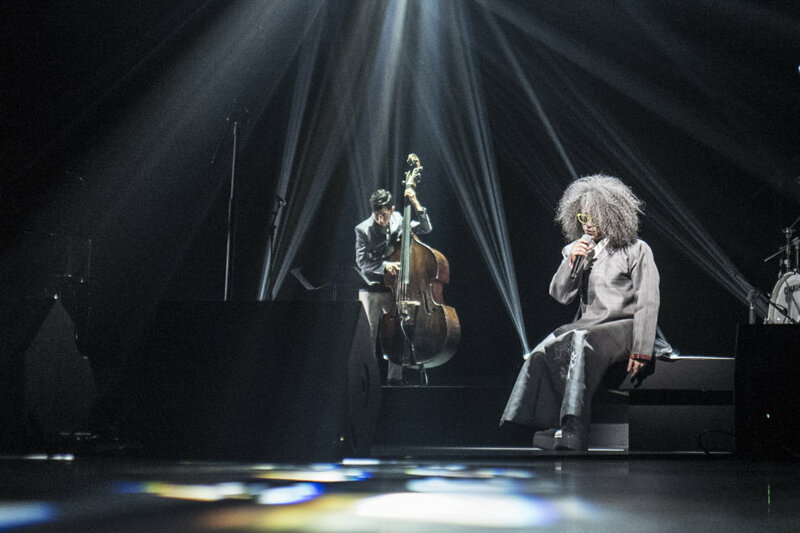 Their visually stunning show is led by extraordinary singer Heemoon Lee, and features the jazz group Prelude, who came together at Berklee School of Music. The Lee Hee Moon Company, led by traditional Korean lyrical storyteller ‘sorikkun’ Heemoon Lee, is comprised of singers, musicians and dancers from a variety of disciplines. Lee’s performances attempt a hybrid of genres, taking the vast repertoire of folk songs ‘minyo’ of the Gyeonggi area as motif. He brings traditional Korean vocal music, which has been sidelined in the Korean art world, to the core and creates a distinctive sound that suggests to the audience a new way of appreciating vocal music. With his recent collaboration with the Jazz band Prelude, he presented a perfect musical harmony of East and West that included a reinterpretation of 9 kinds of minyo, each assigned with a visual idea, unique storytelling and performance. By rearranging the most famous minyo, ‘Jabga,’ with jazz vocabularies, the company is discovering a musical apparatus that clearly portrays the sensibilities of Jabga. The bluesy arrangement of the mournful song, ‘A Widow’s Prayer,’ maximizes a feeling of sadness and ‘Cloudy Days in June and July’ about a young servant is arranged in a swing style, making the character come alive as it humorously satirizes the times.